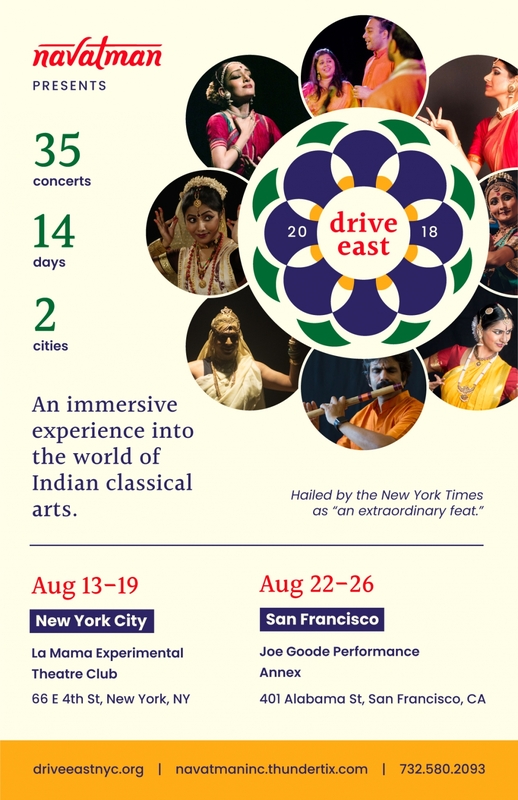 Join Navatman in New York City and now, San Francisco, as they bring together artists from all over the globe for one of the most ambitious—and lauded—congregations of Indian classical music and dance. Whether you are a seasoned patron or interested in learning more, there is an experience for everyone in this extraordinary festival. The India Center Foundation is proud to support this important festival. Hailed as an “extraordinary feat” by the New York Times, this South Asian classical dance and music festival features Kathakali, Bharatanatyam, Odissi, a carnatic music ensemble, a bansuri flute trio, and more. And be sure to check out the Dualities of Dance: Gender Binaries in Bharatanatyam, a curated program exploring homosexuality and gender in the South Asian diaspora.